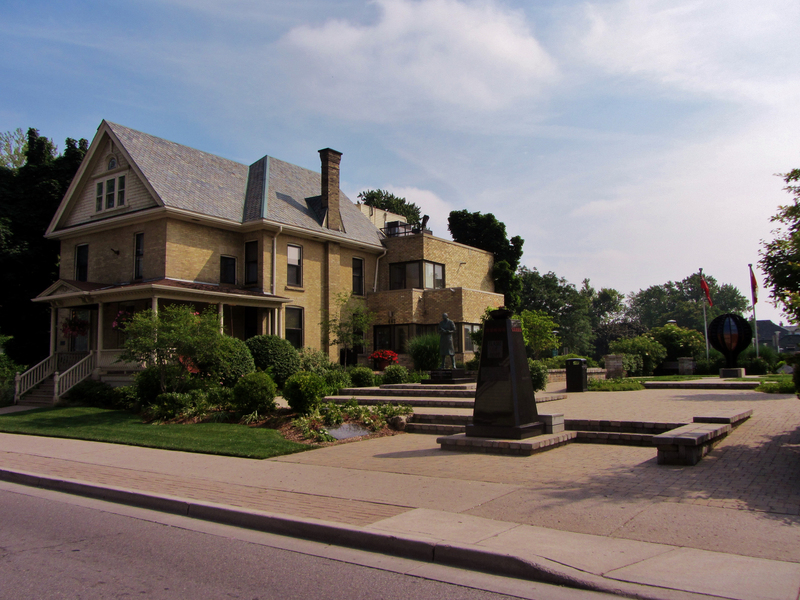 Have you visited Banting House National Historic Site of Canada? The museum’s collection sheds light on so many aspects of Dr. Banting’s life and achievements that surely one or two items or artifacts stuck out to you among the rest during your first visit. Was it an original Banting oil painting, or his Great War medals? Surely it was the doctor’s original bed frame, the one from his now famous night of restless sleep in October, 1920 when he awoke with his hypothesis for insulin. Our visitors continue to be amazed with how accomplished Dr. Banting had been as a decorated war hero, a skilled artist, a wartime researcher, and a doctor. Everyone has a different story and reason for visiting Banting House. Whether you are a member of a family on their North American travels, or a couple who have waited years to thank the Canadian doctor for saving their lives, your first trip is always a memorable experience. Banting House National Historic Site of Canada. My first visit to the museum was over fourteen years ago. In grade five a science project about diabetes brought me to Banting House for my first tour. Our knowledgeable tour guide was none other than the curator of Banting House, Grant Maltman. I still remember the medical utensils on display and Dr. Banting’s misspelling of diabetes in his hypothesis (he had scribbled down diabetus). One look at our Facebook page and it is obvious I surely was not the first, and certainly not the last student to be brought to Banting House for a school related project. 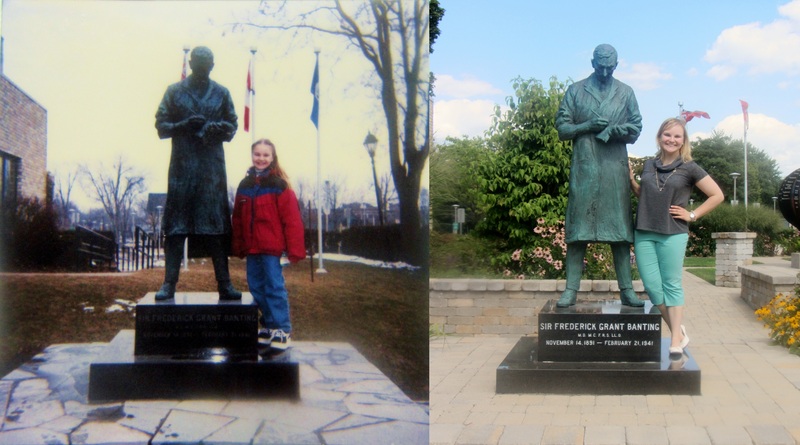 Two photos of myself and Fred, taken fourteen years apart. A memorable first time visitor came to us on August 17, 2013. Banting House NHSC was honoured to host the Nepalese Ambassador for Canada, His Excellency Dr. Bhoj Raj Ghimire, on his first visit to the museum. During a private tour His Excellency learned about Dr. Banting’s heroism during the Great War, his love of painting, and how the doctor arrived at his hypothesis in the middle of the night on October 31, 1920. The impact of Dr. Banting’s work with diabetes has drawn quite a few notable visitors over the years to our museum. excellent tour guides, looks on after completing their tour. A more common sight in our museum are the families we welcome during the summer who have been affected by diabetes. One family in particular stands out to me among the rest. They came to us in the rain on a Saturday afternoon after having waited over six years to visit Banting House. Their daughter was diagnosed with Type 1 diabetes at age two and they had long last arrived to visit Dr. Banting’s former home. They came to us from Bond Head – the same area of Ontario where Dr. Banting’s father was born! With that small yet significant connection to Banting’s father, coupled with their kindness and genuine enthusiasm to learn about Dr. Banting’s work made their first visit a memorable tour for me. 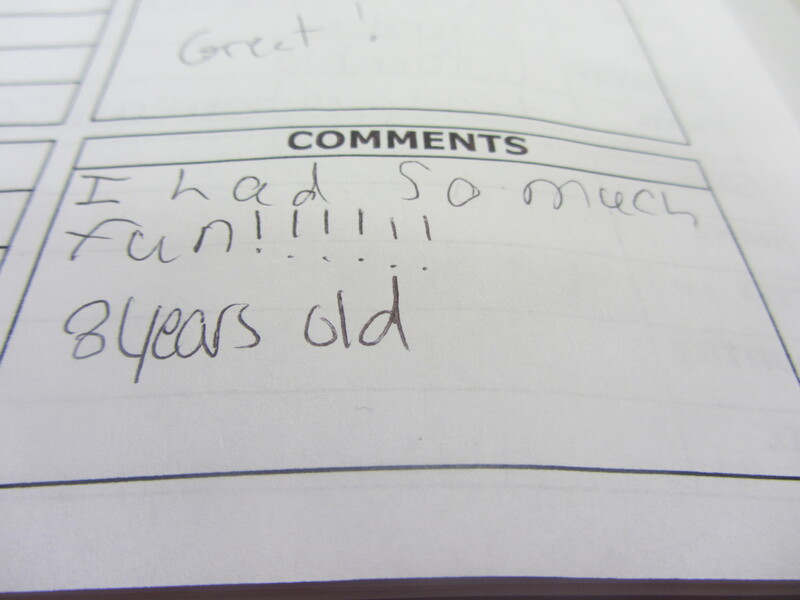 One of the messages left in our guestbook from the family. Your first trip to the museum is always a memorable experience, one that I have been honoured to play a small part in for some of our visitors these past few months. Have you lived in London your whole life and never stopped by Banting House? It’s never too late to learn about this piece of local and Canadian history – my 91 year old grandfather made his first trip to the museum just last Friday. If you have driven past 442 Adelaide Street North recently it’s difficult to not notice the scaffolding surrounding our museum. Construction is well underway on the exterior of our building, and I can happily assure you we will continue to be open to the public during this time. For more photos of the construction please click here for our Facebook album. With the first day of school just around the corner there is still time this summer to cross Banting House NHSC off your list. Over the Labour Day weekend the museum is open Friday, August 30th and Saturday, August 31st from 12:00pm-4:00pm. We hope to see you soon!